I've been exploring different types of maps. The last post introduced a Knowledge Map. 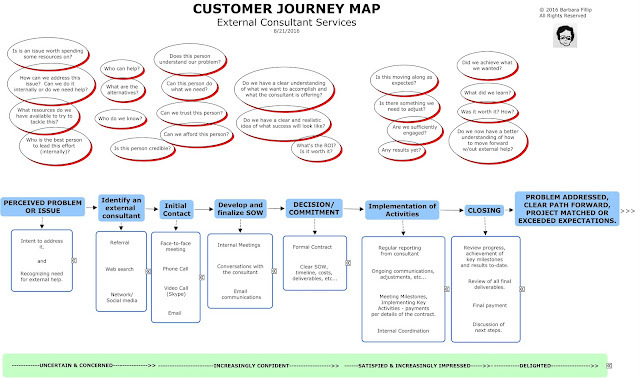 This post will be introducing my first attempt at creating a customer journey map. 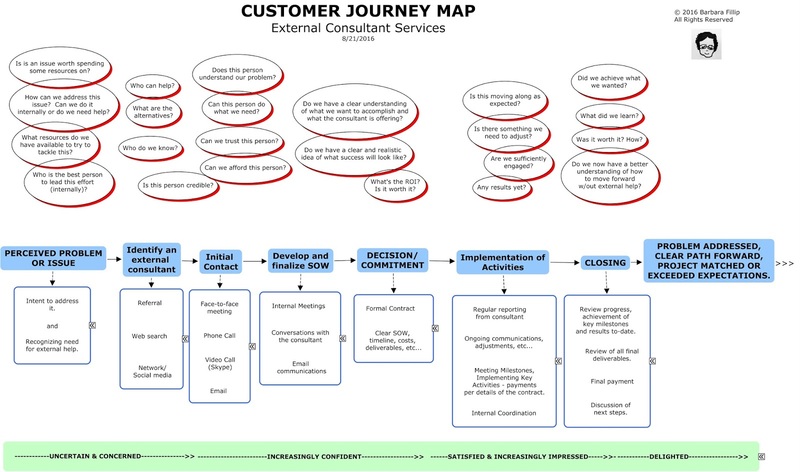 For a basic video introduction, see "How to Create a Customer Journey Map" by UX Mastery. Below is my initial map. I suspect this would evolve over time to be more based on real experience than current expectations/wishful thinking. Click on the image to open the map in a new tab.